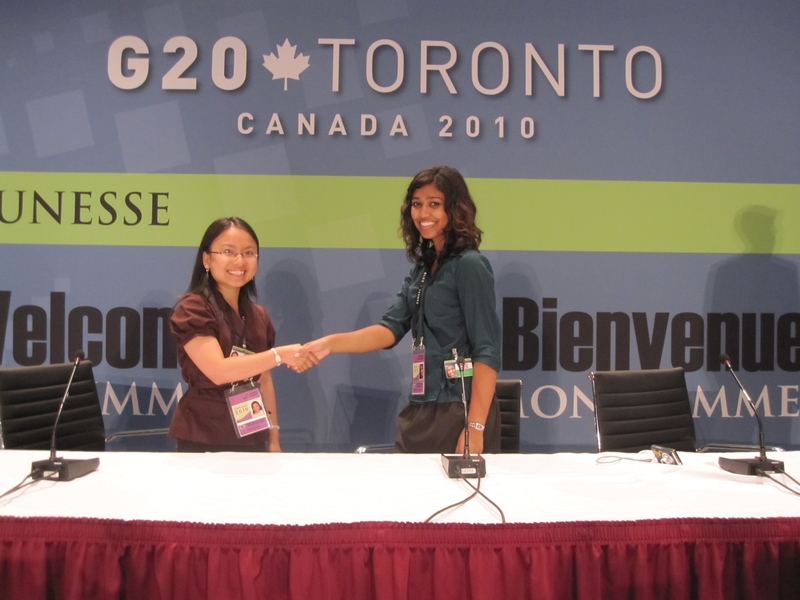 Last month I had the unique opportunity to represent the United States as a Youth Delegate at My Summit 2010, the official international youth summits held alongside the G-8 and G-20 Summits in Canada. 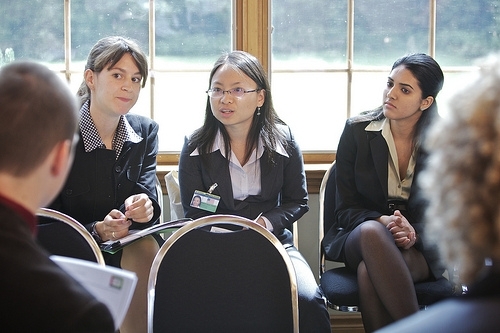 Unlike previous G-8 and G-20 Summits, this year the Canadian Prime Minister, Stephen Harper, invited his G-8 and G-20 counterparts to send a delegation consisting of 7 university-level youths who have demonstrated a passion in international affairs to discuss and negotiate on the same themes as the leaders. At the G-8 Summit, in addition to having the chance to listen to thought-provoking lectures from guest speakers on the four main themes of the Summit: terrorism and nuclear non-proliferation, food security, maternal and child health, and climate change, I also got to participate in a negotiation session with Youth Delegates from seven other countries. As an aspiring diplomat, the highlight of the G-8 Summit for me was being able to witness and participate in the intense debate during the terrorism and nuclear non-proliferation negotiation session. With an experienced negotiator serving as our moderator, all the Youth Delegates from eight different countries took turns to express our views about issues relevant to the topic. Though there were plenty of disagreements along the way, I was amazed at how respectful we were to one other and we really took the time to listen to everyone’s opinions. After extra working sessions that lasted until midnight, I was very proud of our end product: a realistic communiqué that encompassed youth ideals and included everyone’s voice. Through the negotiation process, I learned that in order to conduct successful diplomacy, it was important to always maintain respect and be willing to compromise on thorny issues. Our overall interests are better served when all participants feel that they have a stake in the process. As a Thomas R. Pickering Fellow, an honor that I received with assistance from the staff of the Center for Undergraduate Fellowships and Research, I had the privilege of interning at the Office of Chinese and Mongolian Affairs (more commonly referred to as the China Desk) at the State Department this past summer. You are currently browsing the archives for the US Foreign Policy category.